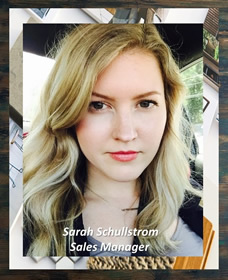 Sarah brings to The Refinishing Touch over 12 years’ experience in client services – the last two years specifically focused on the Hospitality hotel industry. Attending conferences and tradeshows, her commitment to excellence in client service makes her a perfect fit for our organization and proactive advocate for our clients and partners. Jeanne is a native of Atlanta and Graduate of Clayton State University. With over 25 years of marketing communications experience, Jeanne has worked internationally in the U.K. and in the U.S. for global corporations and advertising agencies developing advertising and promotional campaigns for client companies such as Coca-Cola, Georgia Pacific, and General Motors Corporation. She works directly with our Principal, CFO and sales team. She is responsible for developing and managing all corporate communications including website content, CRM campaigns, advertising, social media and tradeshow management. She also enjoys writing our informative Hospitality and University specific blogs. With her communication expertise and creative talents, she is a valuable asset to The Refinishing Touch team. Click here to download the history of The Refinishing Touch.